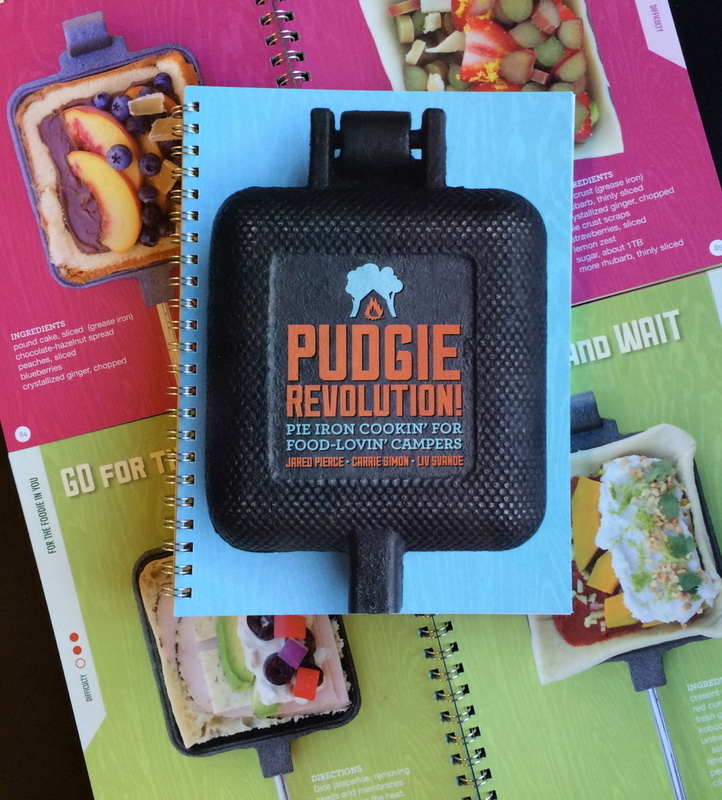 “We live by our Pudgie Pie-losophy,” says Simon, “which is that anything you can think of eating will taste better in the form of a pudgie pie.” These longtime friends co-authored “Pudgie Revolution! Pie Iron Cookin’ for Food Lovin’ Campers.” Their cookbook puts a gourmet spin on this camping staple, raising the bar on conventional camp food. Pudgie Revolution! is filled with unique pudgie pie recipes that will inspire campers to bring their camp cookery to the next level. You don’t even have to be a camper to get in on the action—pudgie pies can be cooked in a backyard fire pit, on a grill, or even in a panini press. Photographs of each recipe provide simple visual instructions that make following them easy as pie. The recipes employ an array of crust materials including bread, pastry dough, hash browns, tortillas and batter. The filling combinations are just as diverse: try salami, mascarpone and figs or peanut butter and pickles. Light-hearted recipe titles like Yolkey Dokey, Pudge-Yam-a Party, and Revenge of the Curds add a fun factor to some seriously delicious sandwich pies. “We wanted to elevate the pudgie pie beyond the white-bread-and-pie-filling variety we grew up with,” says Svanoe. “While our recipes incorporate unconventional camping foods, they are all easily made in the outdoors.” Each recipe includes a difficulty rating, and there are many useful tips throughout the book. There is even a guide for creating a pudgie pie dessert box, which includes everything needed to satisfy any sweet tooth. Don’t go camping without it! Categories: camping | Tags: campfire, campfire pie, camping, cookbook, giftsforcampers, hobo pie, jaffle, mountain pie, pudgie pie, pudgierevolution, pudgy pie, recipe, wisconsin camping | Permalink.